My partner Tim and I are both in higher education. I research issues of diversity and minority advocacy in public relations. He is an American historian, researching the U.S. south. We’ve had the opportunity to work for several universities in different parts of the country, from Iowa, to North Carolina, South Carolina and now Oregon. Each year, regardless of the location or school, Tim will come home after at least one class saying, “This country simply does not know how to talk about race.” He’s right. We struggle with it as a country. I struggle with it as a teacher. I don’t know how many times I’ve wondered, in leading discussions in the public relations classroom, if I’m using the right language, asking the right questions, and getting students to think critically about the intersections of race, diversity, and ethical communication practice. Regardless—whether we’re in the classroom, conference room, or boardroom, whether we’re in South Carolina, Missouri, or Oregon—we need to be able to talk about issues of race and diversity. We must do so as individuals, contributing to broader social discourse. And we must do so in the world of PR, where we’re challenged with forging substantive, thoughtful relationships across complex stakeholder networks. In that regard, as I’ve watched, listened, and read about the events at the University of Missouri, I’m reminded of two key lessons I’ve learned from my own research. First Lesson: In every study I have done, one of the most important things I hear consistently is the value of using the right term(s). One conversation I had with the head of a statewide LGBT advocacy organization stands out. He argued that when it comes advocacy work, external publics too often mistake campaigns for civil rights as campaigns for special rights. He explained that they erroneously assume (as the moniker of our Supreme Court building reads) we’re “all equal under the law,” which leads people to then ask, “What are ‘they’ fighting for? Why are ‘they’ upset?” Instead, he wished that advocacy organizations would do a better job crafting communication strategies that emphasize the need for “better protections.” Many times, the main issue is the existence of unfair cultural barriers to, or lack of equal treatment / enforcement of, the policy or law—barriers that prevent specific groups of people from participating fully in an organization or society. In subsequent studies, additional participants have echoed this premise. Every organization requires communication planning that first identifies, then acknowledges, and ultimately addresses how certain barriers affect certain publics. These barriers exist in different ways for different people. They require a much more complex, thoughtful planning process on the part of the communicator. The barriers I’ve faced as a gay man are different from the barriers my grandmother faced when she moved her family from Mexico to the barrio in El Paso along the U.S.-Juarez border, which are different from the barriers my black students face today at a predominantly white university. As my participants have emphasized, embracing terms such as “diversity” and “equality” are important, but unless carefully considered, they risk becoming substitutes for pursuits of “sameness.” Many of our policies and laws might cover everyone equally on the surface, but we’re not the same and we don’t experience (or benefit from) those regulations in the same ways. So, our communication best-practices must focus on creating this awareness. When faced with resistance by a class to discuss race, my partner often says, “You’re uncomfortable. That’s good. It means you’re learning. That’s why we’re here.” I think the same holds true in terms of the public relations process when addressing issues of diversity and equity in our communication planning. As the events in Missouri and nationwide have reinforced, we need to be uncomfortable and confront some real issues, some real barriers, faced by our neighbors. As public relations practitioners and academics, we need to lead those conversations and create that awareness for our organizations. What a wonderful challenge. What a profound responsibility. 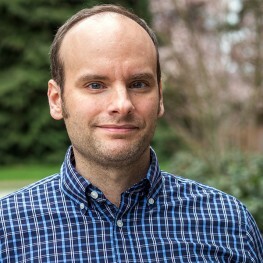 Dean Mundy, Ph.D., is an assistant professor of public relations at the University of Oregon. Follow him on Twitter @demundy. I agree with you Dean. The challenge with the dominant worldview is that it makes us strive towards consensus, find common ground, have and speak the ‘same’ language when the reality is that we are all different. Instead of embracing difference and encouraging ‘dissensus’ or ‘agonistic pluralism’ and trying to listen to and learn from different perspectives, we tend to dismiss, ignore or think it’s all too hard. We teach about the value of ‘requisite variety’ and ‘diversity’ but how much do we really practice it in recruiting students/employees, inviting people to meetings, in engaging those with less credentials or exposure? Discomfort is indeed necessary to learn, innovate and make a difference. And so is the courage to embrace the unfamiliar, where true learning will occur. Thank you Dean for sharing your thoughts. A very thoughtful article. Thank you, Dean.